We have a range of inflatables available for hire to suit your needs! We offer a full or half day rate that includes delivery, set up and spot check and pick up service. Our range includes a children slide combo castle, 5 m Disco dome and children 30ft pirate ship obstacle course. 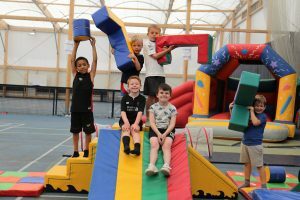 We are here for every occasion: Family fundays, children’s birthday parties, 16th, 18th and 21st birthdays, weddings, corporate events, school fairs and fetes – we’re ready to help you out no matter what the occasion! Our products are heavy duty and hard-wearing, our staff are DBS-checked and we carry full public liability insurance for your peace of mind. our inflatables are services and PIPA registered each year to ensure maximum safety and quality of product. We strive to offer value for money and to ensure customer satisfaction and safety with every hire. We want to make sure you have a SAFE, FUN, EXCITING time. We can tailor event packages for every season to suit any budget. We have a range of equipment to hire that can make your special occasion an event to remember!